So here, for your enjoyment, are a few free samples of D.B. Jackson’s work in .pdf format. 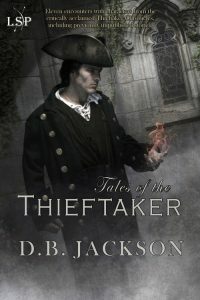 THIEFTAKER, by D.B. Jackson (Tor Books, July 2012) — read the first three chapters in .pdf format. THIEVES’ QUARRY, by D.B. Jackson (Tor Books, July 2013) — read the first three chapters in .pdf format. A PLUNDER OF SOULS, by D.B. Jackson (Tor Books, July 2014) — read the first three chapters in .pdf format. DEAD MAN’S REACH, by D.B. Jackson (Tor Books, July 2015) — read the first three chapters in .pdf format. “The Ruby Blade,” by D.B. 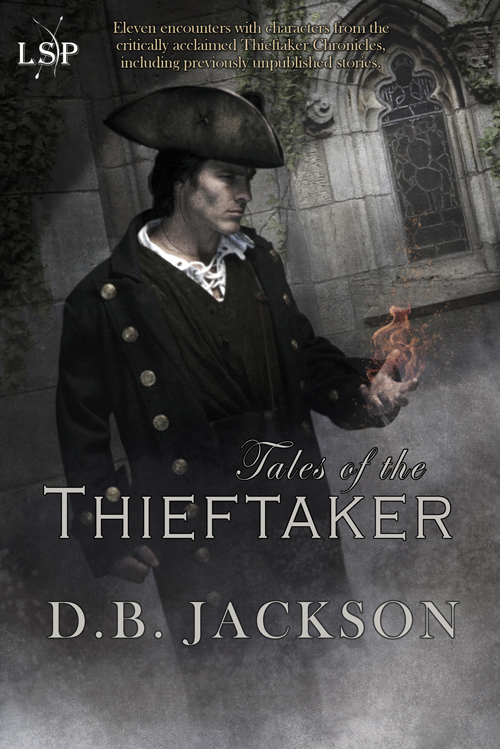 Jackson, from TALES OF THE THIEFTAKER (Lore Seekers Press, December 2017) — read the opening in .pdf format.